September 10, 2014 September 10, 2014 dunsmuirdepotLeave a Comment on Pie Social 2014 a Success! Pie Social 2014 a Success! A beautiful day for pie lovers! 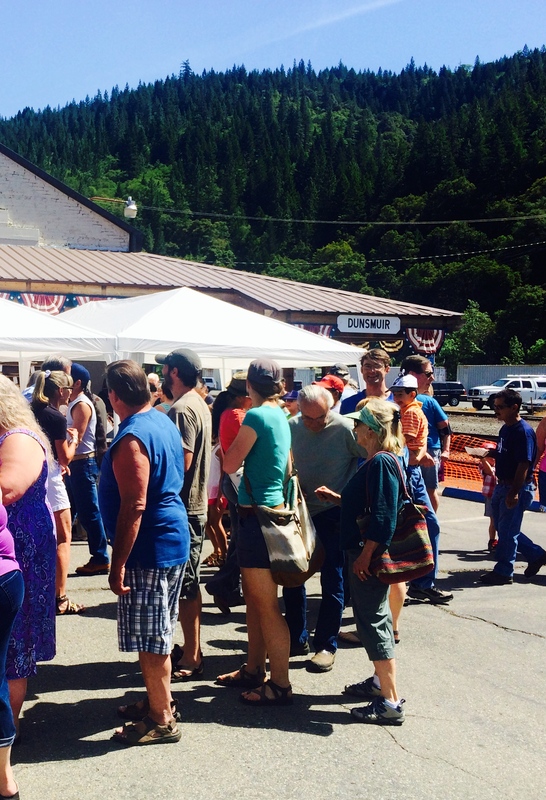 The Dunsmuir Railroad Depot Society reports on our 6th Annual Pie Social success. This success is due to the wonderful generosity of our repeat Pie Makers and the many “New” bakers that donated this year. 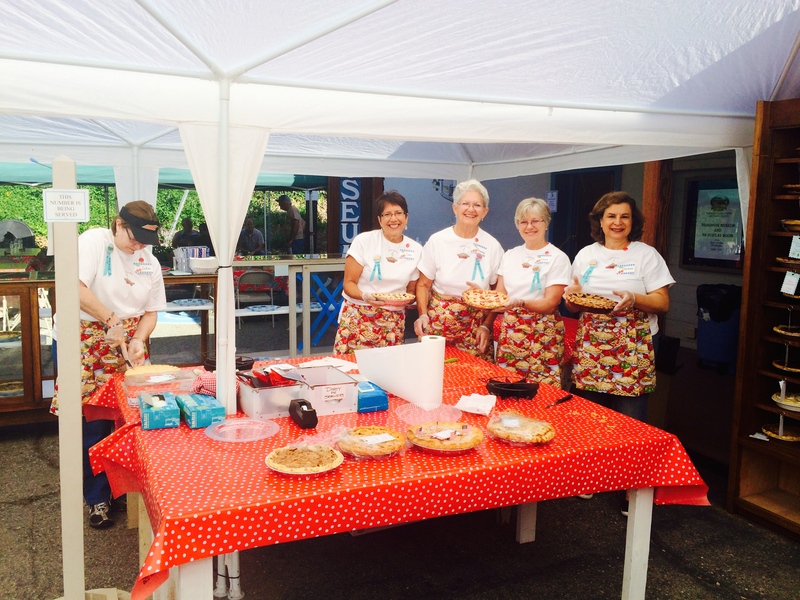 We need to thank our “Sweet as Pie” Bakery Helpers who make this event possible. Of course, we cannot forget the Pie Lovers who once again lined up at 9:30 am to wait for the 10AM opening of our fully stocked “Bakery”. They arrived early to be sure they had the pick of all the Pies before they sold out, which was a good thing as the bulk of the Pies were sold before 1 PM. 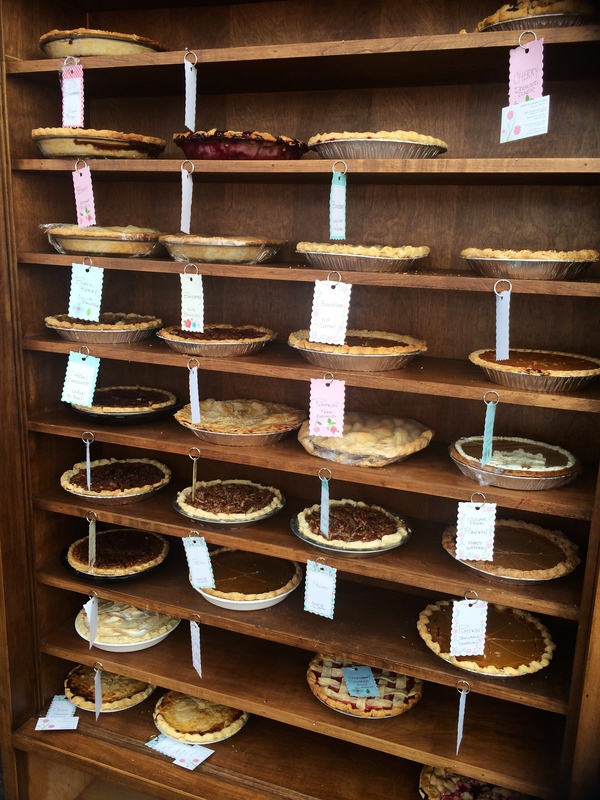 This year we had 71 bakers donate 190 pies that were of 43 different varieties: from an All American Apple pie to old fashioned Sweet Potato pie to sugar-free Lemon, Root Beer Float pies and even Onion Pies. The Pie Bakers came from 15 different cities; Dunsmuir, Mt Shasta, Weed, Mc Cloud, Millville, Chico, Shasta Lake, Redding, Sacramento, Novato, San Rafael, Alamo, San Carlos, Ashland, OR and Klamath Falls, OR. Our pantry, holding just a small fraction of our selection! The Pie Bakers donated from 1 to 27 pies each. The 27 pies come from the dynamic duo of Kathy and Kim. How they do it amazes us. 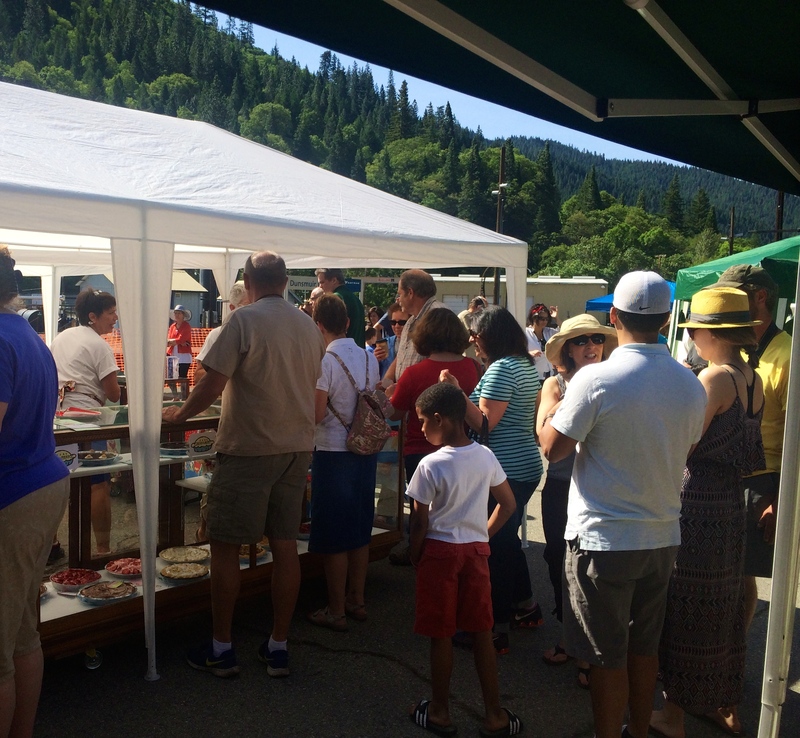 The total funds raised on Saturday May 24th during Dogwood Daze were the highest since our first Pie Social in 2009! 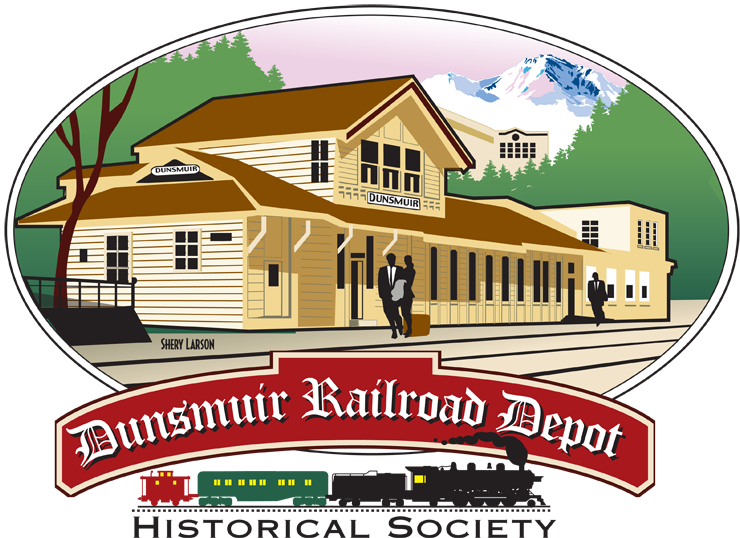 These funds will be used to continue the maintenance of the only AMTRAK stop in Siskiyou County and to further the work in progress on the Dunsmuir Museum. 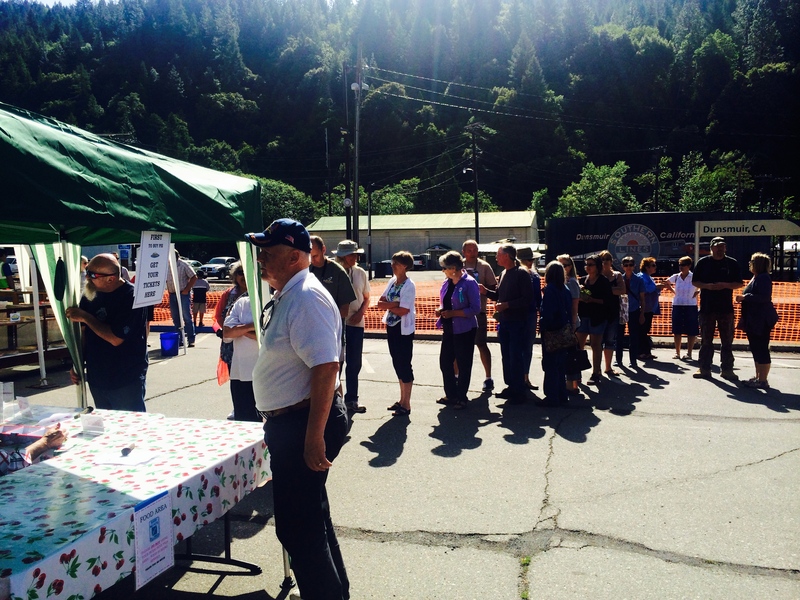 A sincere Thank You from the Dunsmuir Railroad Depot Historical Society to all the Pie Bakers and “Pie Bakery” helpers and to the crew who set up the “Bakery” and the Café where Pie Lovers could sit and enjoy their Pie, along with FREE coffee and water.